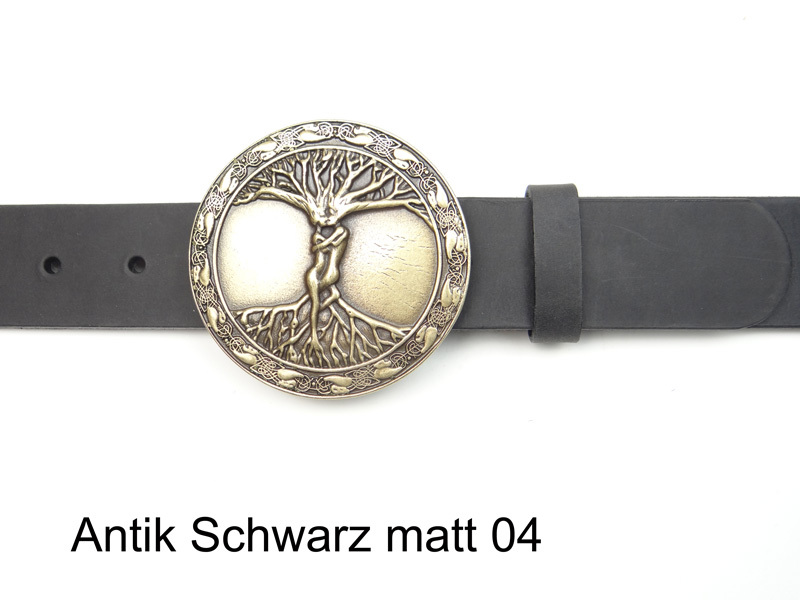 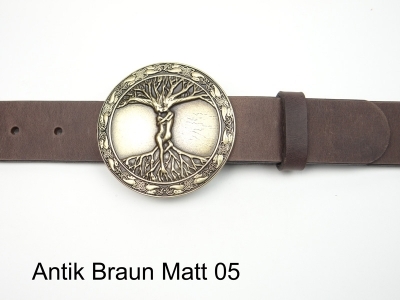 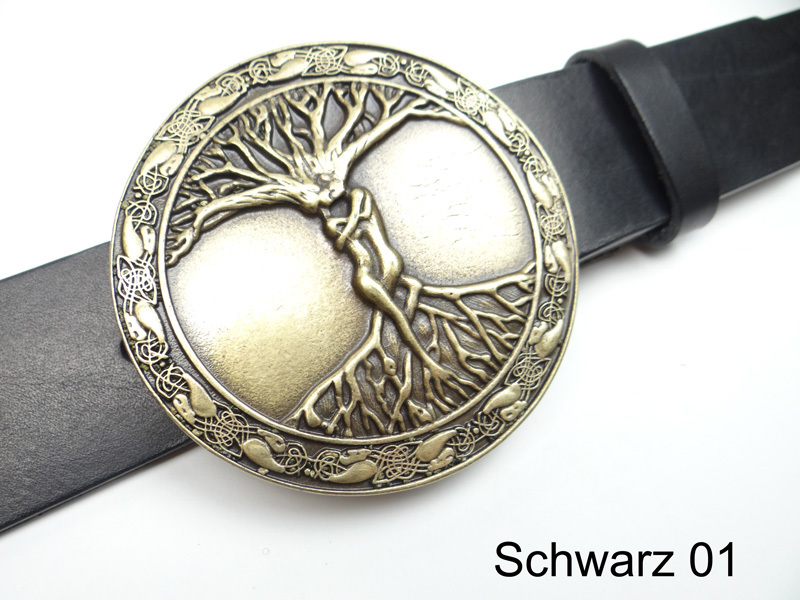 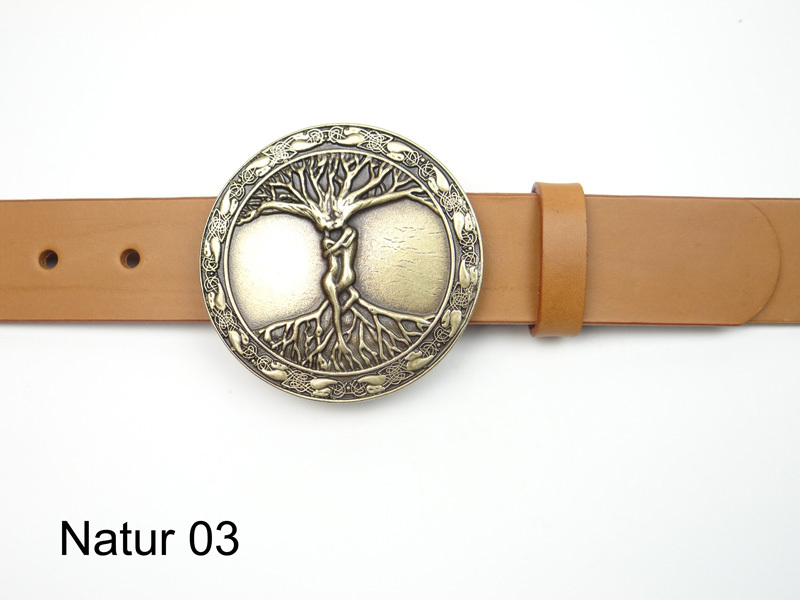 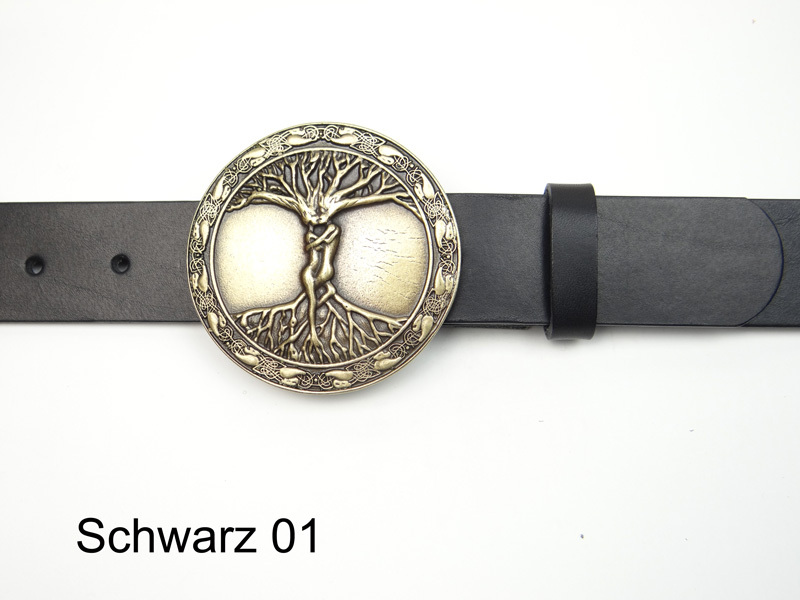 4 cm wide leather belt with an antique brass coloured buckle featuring the tree of life. 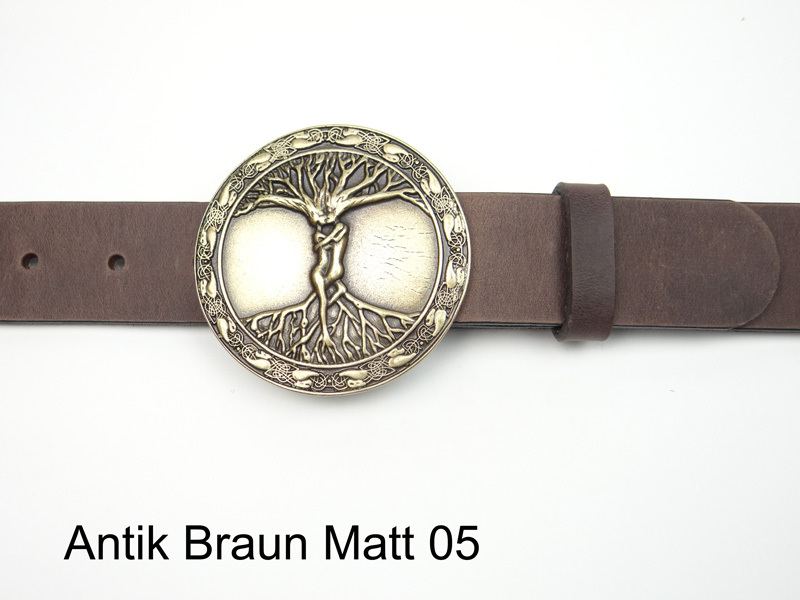 We use only naturally tanned leather for the production of our high quality belts. 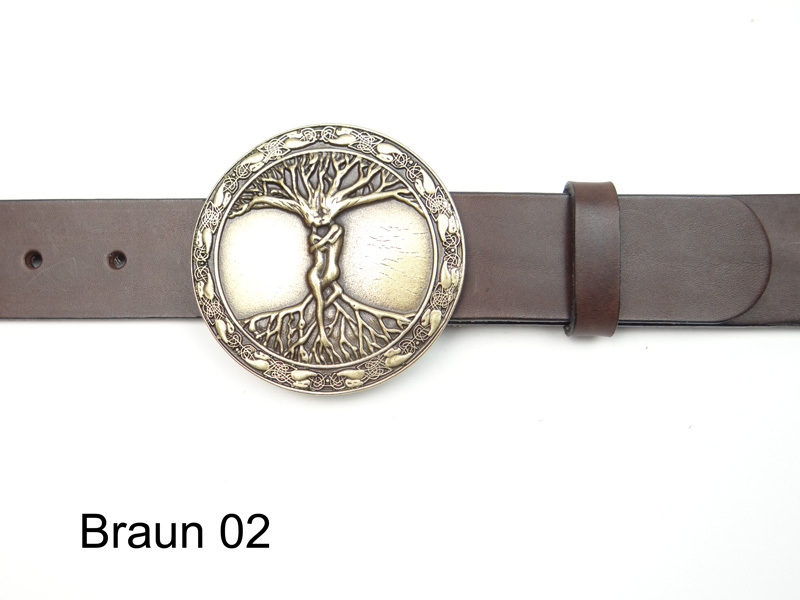 The belt buckle is nickel-free.